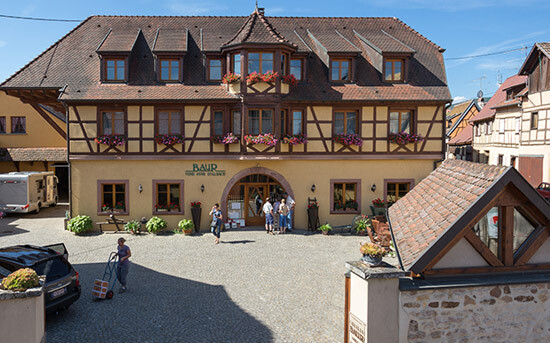 Located in Eguisheim, in the heart of the Alsace wine region and 5km south of Colmar, the Charles Baur Estate consists of 17 hectares of vines situated on the finest slopes of Eguisheim and its immediate vicinity. 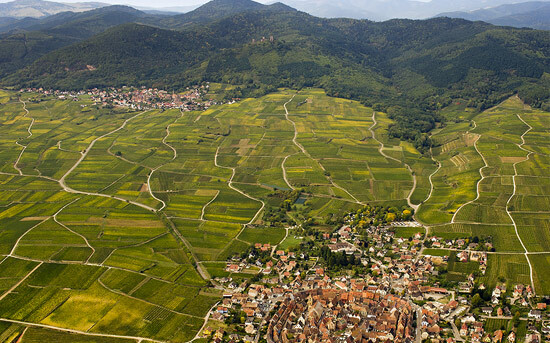 Several of our vineyards are Grand Cru Brand, Eichberg or Pfersigberg vineyards. Our vineyards are grown according to the organic farming methods. We are looking for moderate yields. All the grapes are harvested by hand. A first berry sorting is done by the pickers and a second berry sorting is done at the grape bin to ensure that the wines will be produced exclusively with the best fruits. Grapes are transported to the cellar in fruit bins. We place in each fruit bin a small quantity of grapes to preserve the whole cluster integrity. 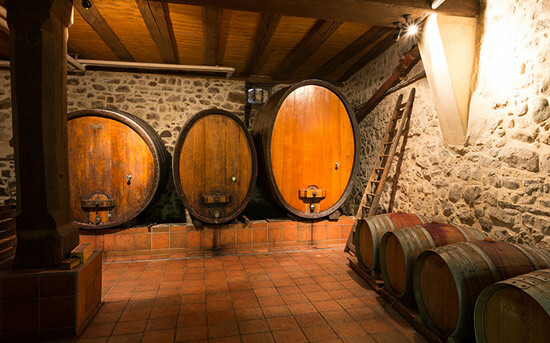 In the cellar, our aim is to get wines which reveal their terroirs and combine balance, great finesse and a nice flavor complexity. 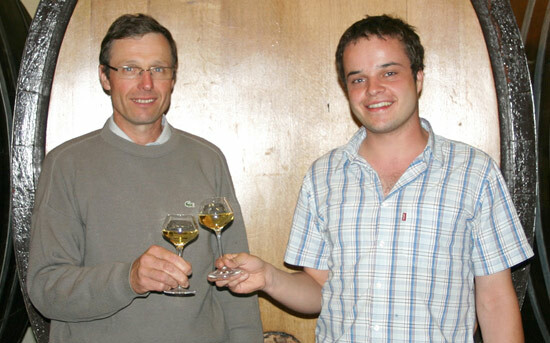 Charles Baur liked to remind to his successors: “From a great wine, you don't want to enjoy 2 glasses but at least 3”. As food enthusiasts, it is a pleasure for our family to produce wines able to pair with the cuisine from the passionate Chefs of the whole world.